This article is about a type of neutron star. For other uses, see Pulsar (disambiguation). A pulsar (from pulse and -ar as in quasar)  is a highly magnetized rotating neutron star that emits a beam of electromagnetic radiation. This radiation can be observed only when the beam of emission is pointing toward Earth (much like the way a lighthouse can be seen only when the light is pointed in the direction of an observer), and is responsible for the pulsed appearance of emission. Neutron stars are very dense, and have short, regular rotational periods. This produces a very precise interval between pulses that ranges from milliseconds to seconds for an individual pulsar. Pulsars are believed to be one of the candidates for the source of ultra-high-energy cosmic rays (see also centrifugal mechanism of acceleration). An exoplanet or extrasolar planet is a planet outside the Solar System. The first evidence of an exoplanet was noted in 1917, but was not recognized as such. 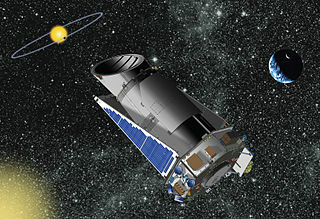 The first scientific detection of an exoplanet was in 1988; it was confirmed to be an exoplanet in 2012. The first confirmed detection occurred in 1992. As of 1 April 2019, there are 4,023 confirmed planets in 3,005 systems, with 656 systems having more than one planet. PSR B1257+12, previously designated PSR 1257+12, alternatively designated PSR J1300+1240, also named Lich, is a pulsar located 2,300 light-years from the Sun in the constellation of Virgo. The first pulsar was observed on November 28, 1967, by Jocelyn Bell Burnell and Antony Hewish. They observed pulses separated by 1.33 seconds that originated from the same location in the sky, and kept to sidereal time. In looking for explanations for the pulses, the short period of the pulses eliminated most astrophysical sources of radiation, such as stars, and since the pulses followed sidereal time, it could not be man-made radio frequency interference. Dame Susan Jocelyn Bell Burnell is an astrophysicist from Northern Ireland who, as a postgraduate student, co-discovered the first radio pulsars in 1967. She was credited with "one of the most significant scientific achievements of the 20th century". The discovery was recognised by the award of the 1974 Nobel Prize in Physics, but despite the fact that she was the first to observe the pulsars, Bell was not one of the recipients of the prize. When observations with another telescope confirmed the emission, it eliminated any sort of instrumental effects. At this point, Bell Burnell said of herself and Hewish that "we did not really believe that we had picked up signals from another civilization, but obviously the idea had crossed our minds and we had no proof that it was an entirely natural radio emission. It is an interesting problem—if one thinks one may have detected life elsewhere in the universe, how does one announce the results responsibly?" Even so, they nicknamed the signal LGM-1, for "little green men" (a playful name for intelligent beings of extraterrestrial origin). Little green men is the stereotypical portrayal of extraterrestrials as little humanoid-like creatures with green skin and sometimes with antennae on their heads. The term is also sometimes used to describe gremlins, mythical creatures known for causing problems in airplanes and mechanical devices. Today, these creatures are more commonly associated with an alleged alien species called greys, whose skin color is described as not green, but grey. A gamma ray or gamma radiation, is a penetrating electromagnetic radiation arising from the radioactive decay of atomic nuclei. It consists of the shortest wavelength electromagnetic waves and so imparts the highest photon energy. Paul Villard, a French chemist and physicist, discovered gamma radiation in 1900 while studying radiation emitted by radium. In 1903, Ernest Rutherford named this radiation gamma rays based on their relatively strong penetration of matter; he had previously discovered two less penetrating types of decay radiation, which he named alpha rays and beta rays in ascending order of penetrating power. In 1982, Don Backer led a group which discovered PSR B1937+21, a pulsar with a rotation period of just 1.6 milliseconds (38,500 rpm). Observations soon revealed that its magnetic field was much weaker than ordinary pulsars, while further discoveries cemented the idea that a new class of object, the "millisecond pulsars" (MSPs) had been found. MSPs are believed to be the end product of X-ray binaries. Owing to their extraordinarily rapid and stable rotation, MSPs can be used by astronomers as clocks rivaling the stability of the best atomic clocks on Earth. Factors affecting the arrival time of pulses at Earth by more than a few hundred nanoseconds can be easily detected and used to make precise measurements. Physical parameters accessible through pulsar timing include the 3D position of the pulsar, its proper motion, the electron content of the interstellar medium along the propagation path, the orbital parameters of any binary companion, the pulsar rotation period and its evolution with time. (These are computed from the raw timing data by Tempo, a computer program specialized for this task.) After these factors have been taken into account, deviations between the observed arrival times and predictions made using these parameters can be found and attributed to one of three possibilities: intrinsic variations in the spin period of the pulsar, errors in the realization of Terrestrial Time against which arrival times were measured, or the presence of background gravitational waves. Scientists are currently attempting to resolve these possibilities by comparing the deviations seen between several different pulsars, forming what is known as a pulsar timing array. The goal of these efforts is to develop a pulsar-based time standard precise enough to make the first ever direct detection of gravitational waves. In June 2006, the astronomer John Middleditch and his team at LANL announced the first prediction of pulsar glitches with observational data from the Rossi X-ray Timing Explorer. They used observations of the pulsar PSR J0537-6910. In 1992, Aleksander Wolszczan discovered the first extrasolar planets around PSR B1257+12. This discovery presented important evidence concerning the widespread existence of planets outside the Solar System, although it is very unlikely that any life form could survive in the environment of intense radiation near a pulsar. Initially pulsars were named with letters of the discovering observatory followed by their right ascension (e.g. CP 1919). As more pulsars were discovered, the letter code became unwieldy, and so the convention then arose of using the letters PSR (Pulsating Source of Radio) followed by the pulsar's right ascension and degrees of declination (e.g. PSR 0531+21) and sometimes declination to a tenth of a degree (e.g. PSR 1913+16.7). Pulsars appearing very close together sometimes have letters appended (e.g. PSR 0021-72C and PSR 0021-72D). Schematic view of a pulsar. The sphere in the middle represents the neutron star, the curves indicate the magnetic field lines, the protruding cones represent the emission beams and the green line represents the axis on which the star rotates. 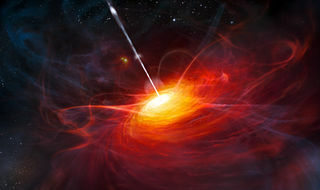 Accretion-powered pulsars (accounting for most but not all X-ray pulsars), where the gravitational potential energy of accreted matter is the power source (producing X-rays that are observable from the Earth). Magnetars, where the decay of an extremely strong magnetic field provides the electromagnetic power. Of interest to the study of the state of the matter in a neutron star are the glitches observed in the rotation velocity of the neutron star. This velocity is decreasing slowly but steadily, except by sudden variations. One model put forward to explain these glitches is that they are the result of "starquakes" that adjust the crust of the neutron star. 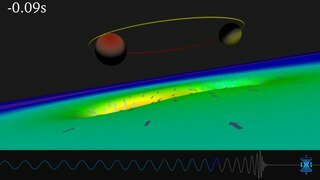 Models where the glitch is due to a decoupling of the possibly superconducting interior of the star have also been advanced. In both cases, the star's moment of inertia changes, but its angular momentum does not, resulting in a change in rotation rate. The discovery of pulsars allowed astronomers to study an object never observed before, the neutron star. This kind of object is the only place where the behavior of matter at nuclear density can be observed (though not directly). Also, millisecond pulsars have allowed a test of general relativity in conditions of an intense gravitational field. Timing noise is the name for rotational irregularities observed in all pulsars. This timing noise is observable as random wandering in the pulse frequency or phase. It is unknown whether timing noise is related to pulsar glitches. There are 3 consortia around the world which use pulsars to search for gravitational waves. In Europe, there is the European Pulsar Timing Array (EPTA); there is the Parkes Pulsar Timing Array (PPTA) in Australia; and there is the North American Nanohertz Observatory for Gravitational Waves (NANOGrav) in Canada and the US. Together, the consortia form the International Pulsar Timing Array (IPTA). The pulses from Millisecond Pulsars (MSPs) are used as a system of Galactic clocks. Disturbances in the clocks will be measurable at Earth. A disturbance from a passing gravitational wave will have a particular signature across the ensemble of pulsars, and will be thus detected. The brightest radio pulsar, the Vela Pulsar. The shortest period pulsar, PSR J1748-2446ad, with a period of ~0.0014 seconds or ~1.4 milliseconds (716 times a second). PSR J1841-0500, stopped pulsing for 580 days. One of only two pulsars known to have stopped pulsing for more than a few minutes. PSR B1931+24, has a cycle. It pulses for about a week and stops pulsing for about a month. One of only two pulsars known to have stopped pulsing for more than a few minutes. Video - Crab Pulsar - bright pulse & interpulse. Video - Vela pulsar - X-ray light. Video - Artist's impression of AR Scorpii. ↑ "Definition of PULSAR". www.merriam-webster.com. ↑ Sullivan, Walter (February 9, 1983). "PULSAR TERMED MOST ACCURATE 'CLOCK' IN SKY". NY Times. The New York Times. Retrieved January 15, 2018. ↑ Bell Burnell, S. Jocelyn (23 April 2004). "So Few Pulsars, So Few Females". Science. 304 (5670): 489. doi:10.1126/science.304.5670.489. PMID 15105461. ↑ Courtland, Rachel. "Pulsar Detected by Gamma Waves Only." New Scientist, 17 October 2008. ↑ Daily Telegraph, 21/3, 5 March 1968. ↑ Baade, W.; Zwicky, F. (1934). "Remarks on Super-Novae and Cosmic Rays" (PDF). Physical Review. 46 (1): 76. Bibcode:1934PhRv...46...76B. doi:10.1103/PhysRev.46.76.2. ↑ Woltjer, L. (1964). "X-rays and Type I Supernovae". Astrophysical Journal. 140: 1309. Bibcode:1964ApJ...140.1309W. doi:10.1086/148028. ↑ Pacini, F. (1967). "Energy Emission from a Neutron Star". Nature. 216 (5115): 567–568. Bibcode:1967Natur.216..567P. doi:10.1038/216567a0. ↑ Gold, T. (1968). "Rotating Neutron Stars as the Origin of the Pulsating Radio Sources". Nature. 218 (5143): 731–732. Bibcode:1968Natur.218..731G. doi:10.1038/218731a0. ↑ Lyne & Graham-Smith, pp. 1–7 (1998). ↑ "Press Release: The Nobel Prize in Physics 1974". 15 October 1974. Retrieved 2014-01-19. ↑ Weisberg, J.M. ; Nice, D.J. & Taylor, J.H. (2010). "Timing measurements of the relativistic binary pulsar PSR B1913+ 16" (PDF). The Astrophysical Journal. 722 (2): 1030–1034. arXiv: 1011.0718 . Bibcode:2010ApJ...722.1030W. doi:10.1088/0004-637X/722/2/1030. ↑ "Nobel Prize in Physics 1993" . Retrieved 2010-01-07. ↑ D. Backer; Kulkarni, Shrinivas R.; Heiles, Carl; Davis, M. M.; Goss, W. M. (1982). "A millisecond pulsar". Nature. 300 (5893): 315–318. Bibcode:1982Natur.300..615B. doi:10.1038/300615a0. 1 2 Buckley, D. A. H.; Meintjes, P. J.; Potter, S. B.; Marsh, T. R.; Gänsicke, B. T. (2017-01-23). "Polarimetric evidence of a white dwarf pulsar in the binary system AR Scorpii". Nature Astronomy. 1 (2): 0029. arXiv: 1612.03185 . Bibcode:2017NatAs...1E..29B. doi:10.1038/s41550-016-0029. ISSN 2397-3366. ↑ Marsh, T. R.; Gänsicke, B. T.; Hümmerich, S.; Hambsch, F.-J. ; Bernhard, K.; Lloyd, C.; Breedt, E.; Stanway, E. R.; Steeghs, D. T. (September 2016). "A radio-pulsing white dwarf binary star". Nature. 537 (7620): 374–377. arXiv: 1607.08265 . Bibcode:2016Natur.537..374M. doi:10.1038/nature18620. PMID 27462808. ↑ Lyne, Andrew G.; Graham-Smith, Francis. Pulsar Astronomy. Cambridge University Press, 1998. ↑ "Pulsar Beacon Animation" . Retrieved 2010-04-03. ↑ "Pulsars" . Retrieved 2010-04-03. ↑ "Old Pulsars Still Have New Tricks to Teach Us". Staff. ESA. 26 July 2006. Retrieved 30 April 2013. ↑ "Voyager – The Spacecraft". voyager.jpl.nasa.gov. ↑ Marissa Cevallos, Science News,"HOW TO USE A PULSAR TO FIND STARBUCKS", Discovery News, Wed Nov 24, 2010 10:21 am ET . ↑ Angelo Tartaglia; Matteo Luca Ruggiero; Emiliano Capolongo (2011). "A null frame for spacetime positioning by means of pulsating sources". Advances in Space Research. 47 (4): 645–653. arXiv: 1001.1068 . Bibcode:2011AdSpR..47..645T. doi:10.1016/j.asr.2010.10.023. ↑ John G. Hartnett; Andre Luiten (2011). "Colloquium: Comparison of Astrophysical and Terrestrial Frequency Standards". Reviews of Modern Physics. 83 (1): 1–9. arXiv: 1004.0115 . Bibcode:2011RvMP...83....1H. doi:10.1103/RevModPhys.83.1. ↑ Matsakis, D. N.; Taylor, J. H.; Eubanks, T. M. (1997). "A Statistic for Describing Pulsar and Clock Stabilities" (PDF). Astronomy and Astrophysics. 326: 924–928. Bibcode:1997A&A...326..924M . Retrieved 2010-04-03. ↑ Backer, Don (1984). "The 1.5 Millisecond Pulsar". Annals of the New York Academy of Sciences. 422 (Eleventh Texas Symposium on Relativistic Astrophysics): 180–181. Bibcode:1984NYASA.422..180B. doi:10.1111/j.1749-6632.1984.tb23351.x. Archived from the original on 2013-01-05. Retrieved 2010-02-14. ↑ "African Skies 4 – Radio Pulsar Glitch Studies". ↑ Ferrière, Katia (2001). "The Interstellar Environment of Our Galaxy". Reviews of Modern Physics. 73 (4): 1031–1066. arXiv: astro-ph/0106359 . Bibcode:2001RvMP...73.1031F. doi:10.1103/RevModPhys.73.1031. ↑ Taylor, J. H.; Cordes, J. M. (1993). "Pulsar Distances and the Galactic Distribution of Free Electrons". Astrophysical Journal. 411: 674. Bibcode:1993ApJ...411..674T. doi:10.1086/172870. ↑ Rickett, Barney J. (1990). "Radio Propagation Through the Turbulent Interstellar Plasma". Annual Review of Astronomy and Astrophysics. 28: 561–605. Bibcode:1990ARA&A..28..561R. doi:10.1146/annurev.aa.28.090190.003021. ↑ Rickett, Barney J.; Lyne, Andrew G.; Gupta, Yashwant (1997). "Interstellar Fringes from Pulsar B0834+06". Monthly Notices of the Royal Astronomical Society . 287 (4): 739–752. Bibcode:1997MNRAS.287..739R. doi:10.1093/mnras/287.4.739. 1 2 Angelil, R.; Saha, P.; Merritt, D. (2010). "Towards relativistic orbit fitting of Galactic center stars and pulsars". The Astrophysical Journal. 720 (2): 1303–1310. arXiv: 1007.0007 . Bibcode:2010ApJ...720.1303A. doi:10.1088/0004-637X/720/2/1303. ↑ Deneva, J. S.; Cordes, J. M.; Lazio, T. J. W. (2009). "Discovery of Three Pulsars from a Galactic Center Pulsar Population". The Astrophysical Journal Letters. 702 (2): L177–182. arXiv: 0908.1331 . Bibcode:2009ApJ...702L.177D. doi:10.1088/0004-637X/702/2/L177. ↑ Abt, Helmut A. (May 2011). "The Age of the Local Interstellar Bubble". The Astronomical Journal. 141 (5): 165. Bibcode:2011AJ....141..165A. doi:10.1088/0004-6256/141/5/165. ↑ Hewish, A. et al. "Observation of a Rapidly Pulsating Radio Source." Nature, Volume 217, 1968 (pages 709–713). ↑ Buckley, D. A. H.; Meintjes, P. J.; Potter, S. B.; Marsh, T. R.; Gänsicke, B. T. (2017-01-23). "Polarimetric evidence of a white dwarf pulsar in the binary system AR Scorpii". Nature Astronomy. 1 (2): 0029. arXiv: 1612.03185 . Bibcode:2017NatAs...1E..29B. doi:10.1038/s41550-016-0029. ISSN 2397-3366. ↑ Tan, C. M.; Bassa, C. G.; Cooper, S.; Dijkema, T. J.; Esposito, P.; Hessels, J. W. T.; Kondratiev, V. I.; Kramer, M.; Michilli, D.; Sanidas, S.; Shimwell, T. W.; Stappers, B. W.; van Leeuwen, J.; Cognard, I.; Grießmeier, J.-M.; Karastergiou, A.; Keane, E. F.; Sobey, C.; Weltevrede, P. (2018). "LOFAR Discovery of a 23.5 s Radio Pulsar". The Astrophysical Journal. 866 (1): 54. arXiv: 1809.00965 . Bibcode:2018ApJ...866...54T. doi:10.3847/1538-4357/aade88. ↑ O'Brien, Tim. "Part-time pulsar yields new insight into inner workings of cosmic clocks | Jodrell Bank Centre for Astrophysics". www.jb.man.ac.uk. Retrieved 23 July 2017. ↑ Champion, David J.; Ransom, S. M.; Lazarus, P.; Camilo, F.; Bassa, C.; Kaspi, V. M.; Nice, D. J.; Freire, P. C. C.; Stairs, I. H.; Van Leeuwen, J.; Stappers, B. W.; Cordes, J. M.; Hessels, J. W. T.; Lorimer, D. R.; Arzoumanian, Z.; Backer, D. C.; Bhat, N. D. R.; Chatterjee, S.; Cognard, I.; Deneva, J. S.; Faucher-Giguere, C.-A. ; Gaensler, B. M.; Han, J.; Jenet, F. A.; Kasian, L.; Kondratiev, V. I.; Kramer, M.; Lazio, J.; McLaughlin, M. A.; et al. (2008). "An Eccentric Binary Millisecond Pulsar in the Galactic Plane". Science. 320 (5881): 1309–1312. arXiv: 0805.2396 . Bibcode:2008Sci...320.1309C. doi:10.1126/science.1157580. PMID 18483399. ↑ Knispel, B.; Allen, B; Cordes, JM; Deneva, JS; Anderson, D; Aulbert, C; Bhat, ND; Bock, O; et al. (2010). "Pulsar Discovery by Global Volunteer Computing". Science. 329 (5997): 1305. arXiv: 1008.2172 . Bibcode:2010Sci...329.1305K. doi:10.1126/science.1195253. PMID 20705813. ↑ Pletsch, H. J.; Guillemot; Fehrmann, H.; Allen, B.; Kramer, M.; Aulbert, C.; Ackermann, M.; Ajello, M.; De Angelis, A.; Atwood, W. B.; Baldini, L.; Ballet, J.; Barbiellini, G.; Bastieri, D.; Bechtol, K.; Bellazzini, R.; Borgland, A. W.; Bottacini, E.; Brandt, T. J.; Bregeon, J.; Brigida, M.; Bruel, P.; Buehler, R.; Buson, S.; Caliandro, G. A.; Cameron, R. A.; Caraveo, P. A.; Casandjian, J. M.; Cecchi, C.; et al. (2012). "Binary millisecond pulsar discovery via gamma-ray pulsations". Science. 338 (6112): 1314–7. arXiv: 1211.1385 . Bibcode:2012Sci...338.1314P. doi:10.1126/science.1229054. PMID 23112297. Lorimer, Duncan R.; Kramer, Michael (2004). 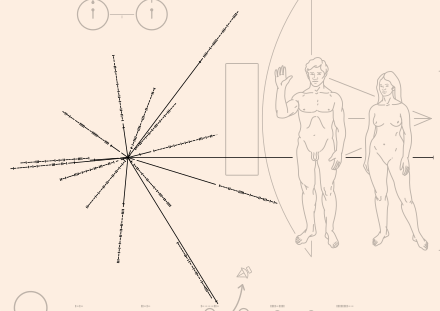 Handbook of Pulsar Astronomy. Cambridge University Press. ISBN 978-0-521-82823-9. Lorimer, Duncan R. (2008). "Binary and Millisecond Pulsars". Archived from the original on 2012-03-15. Retrieved 2011-12-14. Lyne, Andrew G.; Graham-Smith, Francis (1998). Pulsar Astronomy. Cambridge University Press. ISBN 978-0-521-59413-4. Manchester, Richard N.; Taylor, Joseph H. (1977). Pulsars. W. H. Freeman and Company. ISBN 978-0-7167-0358-7. Stairs, Ingrid H (2003). "Testing General Relativity with Pulsar Timing". Living Reviews in Relativity. 6 (1): 5. arXiv: astro-ph/0307536 . Bibcode:2003LRR.....6....5S. doi:10.12942/lrr-2003-5. PMC 5253800 . PMID 28163640. Wikimedia Commons has media related to Pulsars . Discovery of Pulsars: Interview with Jocelyn Bell Burnell. Jodcast, June 2007 (Low Quality Version). "PSR B1919+21". SIMBAD . Centre de données astronomiques de Strasbourg. "Astronomers discover the first white dwarf pulsar in history" . zmescience.com. X-ray pulsars or accretion-powered pulsars are a class of astronomical objects that are X-ray sources displaying strict periodic variations in X-ray intensity. The X-ray periods range from as little as a fraction of a second to as much as several minutes. The Crab Pulsar is a relatively young neutron star. The star is the central star in the Crab Nebula, a remnant of the supernova SN 1054, which was widely observed on Earth in the year 1054. Discovered in 1968, the pulsar was the first to be connected with a supernova remnant. A millisecond pulsar (MSP) is a pulsar with a rotational period in the range of about 1–10 milliseconds. Millisecond pulsars have been detected in the radio, X-ray, and gamma ray portions of the electromagnetic spectrum. The leading theory for the origin of millisecond pulsars is that they are old, rapidly rotating neutron stars which have been spun up or "recycled" through accretion of matter from a companion star in a close binary system. For this reason, millisecond pulsars are sometimes called recycled pulsars. PSR B1913+16 is a pulsar which together with another neutron star is in orbit around a common center of mass, thus forming a binary star system. PSR 1913+16 was the first binary pulsar to be discovered. It was discovered by Russell Alan Hulse and Joseph Hooton Taylor, Jr., of the University of Massachusetts Amherst in 1974. Their discovery of the system and analysis of it earned them the 1993 Nobel Prize in Physics "for the discovery of a new type of pulsar, a discovery that has opened up new possibilities for the study of gravitation." A binary pulsar is a pulsar with a binary companion, often a white dwarf or neutron star. Binary pulsars are one of the few objects which allow physicists to test general relativity because of the strong gravitational fields in their vicinities. Although the binary companion to the pulsar is usually difficult or impossible to observe directly, its presence can be deduced from the timing of the pulses from the pulsar itself, which can be measured with extraordinary accuracy by radio telescopes. A radio-quiet neutron star is a neutron star that does not seem to emit radio emissions, but is still visible to Earth through electromagnetic radiation at other parts of the spectrum, particularly x-rays and gamma rays. PSR J1903+0327 is a millisecond pulsar in a highly eccentric binary orbit. PSR J0437-4715 is a pulsar. Discovered in the Parkes 70 cm survey, it remains the closest and brightest millisecond pulsar (MSP) known. The pulsar rotates about its axis 173.7 times per second and therefore completes a rotation every 5.75 milliseconds. It emits a searchlight-like radio beam that sweeps past the Earth each time it rotates. Currently the most precisely located object outside of the Solar System, PSR J0437-4715 is 156.3 parsecs or 509.8 light years distant. PSR B1937+21 is a pulsar located in the constellation Vulpecula a few degrees in the sky away from the first discovered pulsar, PSR B1919+21. The name PSR B1937+21 is derived from the word "pulsar" and the declination and right ascension at which it is located, with the "B" indicating that the coordinates are for the 1950.0 epoch. PSR B1937+21 was discovered in 1982 by Don Backer, Shri Kulkarni, Carl Heiles, Michael Davis, and Miller Goss. PSR J0108-1431 is a solitary pulsar located at a distance of about 130 parsecs (424 light years) in the constellation Cetus. This pulsar was discovered in 1994 during the Parkes Southern Pulsar Survey. It is considered a very old pulsar with an estimated age of 166 million years and a rotation period of 0.8 seconds. The rotational energy being generated by the spin-down of this pulsar is 5.8 × 1023 W and the surface magnetic field is 2.5 × 107 T. As of 2008, it is the second faintest known pulsar. PSR J1614–2230 is a neutron star in a binary system with a white dwarf. It was discovered in 2006 with the Parkes telescope in a survey of unidentified gamma ray sources in the Energetic Gamma Ray Experiment Telescope catalog. PSR J1614–2230 is a millisecond pulsar, a type of neutron star, that spins on its axis roughly 317 times per second, corresponding to a period of 3.15 milliseconds. Like all pulsars, it emits radiation in a beam, similar to a lighthouse. Emission from PSR J1614–2230 is observed as pulses at the spin period of PSR J1614–2230. The pulsed nature of its emission allows for the arrival of individual pulses to be timed. By measuring the arrival time of pulses, astronomers observed the delay of pulse arrivals from PSR J1614–2230 when it was passing behind its companion from the vantage point of Earth. By measuring this delay, known as the Shapiro delay, astronomers determined the mass of PSR J1614–2230 and its companion. The team performing the observations found that the mass of PSR J1614–2230 is 1.97 ± 0.04 M☉. This mass made PSR J1614–2230 the most massive known neutron star at the time of discovery, and rules out many neutron star equations of state that include exotic matter such as hyperons and kaon condensates. The North American Nanohertz Observatory for Gravitational Waves (NANOGrav) is a consortium of astronomers who share a common goal of detecting gravitational waves via regular observations of an ensemble of millisecond pulsars using the Green Bank and Arecibo radio telescopes. This project is being carried out in collaboration with international partners in the Parkes Pulsar Timing Array in Australia and the European Pulsar Timing Array as part of the International Pulsar Timing Array. PSR J1719-1438 is a millisecond pulsar with a spin period of 5.8 ms located about 4,000 ly from Earth in the direction of Serpens Cauda, one minute from the border with Ophiuchus. Millisecond pulsars are generally thought to begin as normal pulsars and then spin up by accreting matter from a binary companion. PSR J1311–3430 is a pulsar with a spin period of 2.5 milliseconds. It is the first millisecond pulsar found via gamma-ray pulsations. The source was originally identified by the Energetic Gamma Ray Experiment Telescope as a bright gamma ray source, but was not recognized as a pulsar until observations with the Fermi Gamma-ray Space Telescope discovered pulsed gamma ray emission. The pulsar has a helium-dominated companion much less massive than itself, and the two are in an orbit with a period of 93.8 minutes. The system is explained by a model where mass from the low mass companion was transferred on to the pulsar, increasing the mass of the pulsar and decreasing its period. These systems are known as Black Widow Pulsars, named after the original such system discovered, PSR B1957+20, and may eventually lead to the companion being completely vaporized. Among systems like these, the orbital period of PSR J1311–3430 is the shortest ever found. Spectroscopic observations of the companion suggest that the mass of the pulsar is 2.7 . Though there is considerable uncertainty in this estimate, the minimum mass for the pulsar that the authors find adequately fits the data is 2.15 , which is still more massive than PSR J1614–2230, the previous record holder for most massive known pulsar. PSR J0348+0432 is a neutron star in a binary system with a white dwarf. It was discovered in 2007 with the Green Bank Telescope in a drift-scan survey.